TORONTO, CANADA ‒ Ivanhoe Mines (TSX: IVN; OTCQX: IVPAF) today announced its financial results for the third quarter ended September 30, 2017. All figures are in U.S. dollars unless otherwise stated. Ivanhoe Mines is a Canadian mining company focused on advancing its three principal projects in Southern Africa: 1) Mine development at the Platreef platinum-group metals, nickel, copper and gold discovery on the Northern Limb of South Africa's Bushveld Complex; 2) mine development and exploration at the Tier One Kamoa-Kakula copper discovery on the Central African Copperbelt in the Democratic Republic of Congo; and 3) upgrading at the historic, high-grade Kipushi zinc-copper-silver-germanium mine, also on the DRC's Copperbelt. The comprehensive drilling program at the Kamoa-Kakula copper project continued during the third quarter. Ten rigs are focused on expanding and upgrading copper resources at the Kakula Discovery; four rigs are testing other targets on the 400-square-kilometre Kamoa-Kakula mining licence. 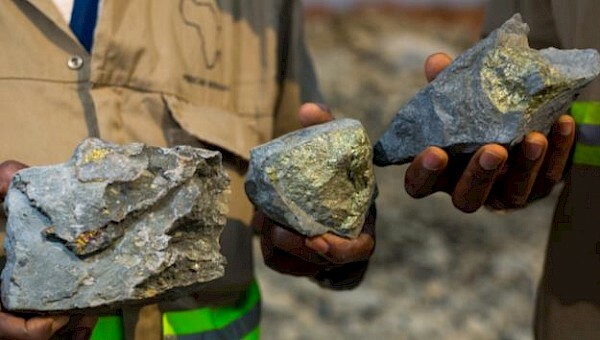 A new mineral resource estimate for the entire Kakula Discovery based on the current, delineated strike extent of least 12 kilometres is expected around the end of this year. The new evaluation will expand the May 2017 estimate and include an initial resource estimate for the Kakula West Discovery and the saddle area between the existing Kakula Mineral Resource area and the Kakula West Discovery. On May 17, 2017, a mineral resource estimate for the then-defined 7.7-kilometre strike length of the Kakula Discovery contained Indicated Mineral Resources of 116 million tonnes at 6.09% copper, plus Inferred Resources of 12 million tonnes at 4.45% copper, at a 3% cut-off. The combined Indicated Mineral Resources at both the Kamoa and Kakula discoveries in the May 2017 estimate totalled one billion tonnes at 3.02% copper, plus another 191 million tonnes of Inferred Resources at 2.37% copper, at a 1.4% cut-off. The May 2017 Kakula estimate established the Kamoa-Kakula Project in the ranks of the five largest copper deposits in the world. The project's copper grades are the highest, by a wide margin, of the world's top 10 copper deposits. Both the original Kamoa Discovery and the subsequent Kakula Discovery continue to remain open for significant expansion. Ivanhoe holds an extensive, 100%-owned exploration land position in the Western Foreland region, just to the west of the Kamoa-Kakula Mining Licence, which is highly prospective for Kamoa-Kakula-type copper discoveries. Ivanhoe's DRC exploration team began an initial, $4 million exploration program on the Western Foreland exploration licences in August. Underground development at Kamoa's Kansoko Mine, consisting of service and conveyor declines, was completed in September 2017. The high-grade Kansoko Sud copper mineralization was reached and approximately 13,500 tonnes of development ore was stockpiled at surface. Various development options for Kansoko are being assessed in conjunction with the ongoing mine development activities at Kakula. On October 26, 2017, the surface box cut at the Kakula Discovery was completed. Development of twin underground declines, similar to those at the Kansoko Mine, will begin in the middle of this month. The first blast for the declines is scheduled for mid-November 2017. OreWin Pty. Ltd., of Australia, is nearing completion of a follow-up preliminary economic assessment (PEA) for the development of the Kakula and Kamoa deposits. It is expected that the increased resource base at Kakula will support a mine capacity of approximately six million tonnes per annum (Mtpa). The capacity of the Kansoko Mine also is expected to be six Mtpa, giving the two mines in the revised PEA a projected, peak mine production of approximately 12 Mtpa from the presently delineated Kamoa and Kakula deposits. 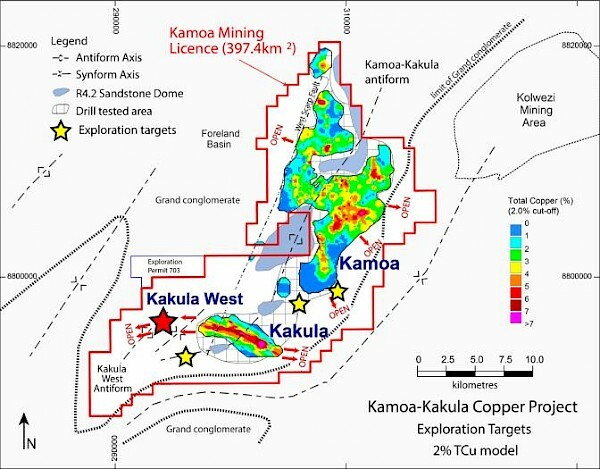 In light of the successful step-out drilling at Kakula West, as well as the potential to find additional resources in high-priority targets located in the untested parts of the Kamoa-Kakula Project area, the Kamoa-Kakula development plans will be reassessed and amended as the project moves forward. Phased mine development options totalling up to 18 million tonnes per year are being assessed. Orewin also is preparing a pre-feasibility study for a six-million-tonne-per-year, phase one mine at Kakula. Given the ultra-high-grade copper mineralization at Kakula, the initial development focus at Kamoa-Kakula is on fast-tracking advancement of the Kakula Mine. On November 1, 2017, Ivanhoe announced that sinking of Platreef's Shaft 1 had reached a depth of more than 500 metres below surface and development of the first of four planned shaft stations - the 450-metre-level substation - had been completed. Shaft 1 is expected to reach the top of the Flatreef mineralized zone, at a depth of 783 metres, in the third quarter of 2018. Sinking of the shaft will continue to a planned final depth of 980 metres. Early-works surface construction for Platreef's Shaft 2 began last May with initial curtain grouting around the box cut. Further work includes the excavation of a surface box cut to a depth of approximately 29 metres and construction of the concrete hitch for the 103-metre-tall concrete headgear (headframe) that will house the shaft's permanent hoisting facilities and support the shaft collar. The early-works construction is expected to be completed in the fourth quarter of next year. Ivanhoe is focused on advancing the Platreef Project along its critical path. The continued development of shafts 1 and 2 will provide access to the Flatreef Deposit andhelp to ensure that the project is able to meet the scheduled, first-phase start-up of the underground mine and concentrator by 2022. On July 31, 2017, Ivanhoe announced the positive results of an independent, definitive feasibility study for the planned first phase of its Platreef platinum-group metals, nickel, copper and gold mine in South Africa. The study envisages an initial annual throughput rate of four million tonnes a year, producing 476,000 ounces of platinum, palladium, rhodium and gold (3PE+Au), plus 33 million pounds of nickel and copper. The Platreef Mine is projected to be Africa's lowest-cost producer of platinum-group metals, with a cash cost of $351 per ounce of 3PE+Au, net of by-products, including sustaining capital cost. There is good potential for relatively quick and capital-efficient expansion to six and eight million tonnes a year, and beyond, using start-up infrastructure. Ivanhoe has appointed five leading mine-financing institutions as Initial Mandated Lead Arrangers to arrange debt financing for the development of the Platreef Mine. They are: KfW IPEX-Bank, a German government-owned institution; Swedish Export Credit Corporation; Export Development Canada; Nedbank Limited (acting through its Corporate and Investment Banking division); and Societe Generale Corporate & Investment Banking. Expressions of interest have been received for approximately $900 million of the targeted $1 billion project financing. The Platreef Project financing process is progressing, with technical and environmental due diligence now underway. Discussions are underway on the financing of the broad-based, black economic empowerment (B-BBEE) structure. Strategic discussions regarding the Platreef Project also are continuing with significant global mining companies and investors. On October 30, 2017, Ivanhoe announced that that the company has agreed to rebuild 34 kilometres of track to connect the Kipushi Mine with the DRC national railway at Munama, south of the mining capital of Lubumbashi. The Kipushi-Munama spur line, which has been inactive since 2011, will be rebuilt under terms of a memorandum of understanding (MOU) signed by Ivanhoe Mines and the DRC's state-owned railway company, Société Nationale des Chemins de Fer du Congo (SNCC).The DRC national railway is a key part of the international rail corridor that links the DRC Copperbelt to major seaports at Durban and Richards Bay in South Africa, Dar es Salaam in Tanzania and Lobito in Angola. A pre-feasibility study for the redevelopment of the Kipushi zinc-copper-germanium-lead-silver mine is being prepared by OreWin. The comprehensive new study is expected to be issued before the end of this year. It will update and refine Ivanhoe's May 2016 preliminary economic assessment of Kipushi's proposed redevelopment. Ivanhoe Mines' three projects achieved a combined 8.2 million work hours free of lost-time injuries (LTIF) by the end of Q3 2017. Ivanhoe had recorded 457,807 LTIF hours at Platreef, 51,230 hours at Kipushi and more than 7.7 million hours at Kamoa-Kakula to the end of Q3 2017. The Platreef Project is owned by Ivanplats (Pty) Ltd., which is 64%-owned by Ivanhoe Mines. A 26% interest is held by Ivanplats' historically-disadvantaged, broad-based, black economic empowerment (B-BBEE) partners, which include 20 local host communities with a total of approximately 150,000 people, project employees and local entrepreneurs. In January 2017, Ivanplats reconfirmed its Level 3 status in its third verification assessment on a B-BBEE scorecard. A Japanese consortium of ITOCHU Corporation; Japan Oil, Gas and Metals National Corporation and Japan Gas Corporation, owns a 10% interest in Ivanplats, which it acquired in two tranches for a total investment of $290 million. The Platreef Project hosts an underground deposit of thick, platinum-group metals, nickel, copper and gold mineralization on the Northern Limb of the Bushveld Igneous Complex, approximately 280 kilometres northeast of Johannesburg and eight kilometres from the town of Mokopane in Limpopo Province. On the Northern Limb, platinum-group-metals mineralization is hosted primarily within the Platreef, a mineralized sequence that is traced more than 30 kilometres along strike. Ivanhoe's Platreef Project, within the Platreef's southern sector, is comprised of three contiguous properties: Turfspruit, Macalacaskop and Rietfontein. Turfspruit, the northernmost property, is contiguous with, and along strike from, Anglo Platinum's Mogalakwena group of mining operations and properties. On July 31, 2017, Ivanhoe Mines announced the positive results of an independent, definitive feasibility study (DFS) for the planned first phase of the Platreef Project's platinum-group metals, nickel, copper and gold mine in South Africa. The independent Platreef DFS covers the first phase of development that would include construction of a state-of-the-art underground mine, concentrator and other associated infrastructure to support initial production of concentrate by 2022. As Phase 1 is being developed and commissioned, there would be opportunities to refine the timing and scope of subsequent phases of expanded production. Increased Mineral Reserves containing 17.6 million ounces of platinum, palladium, rhodium and gold - an increase of 13% - following stope optimization and mine sequencing work. 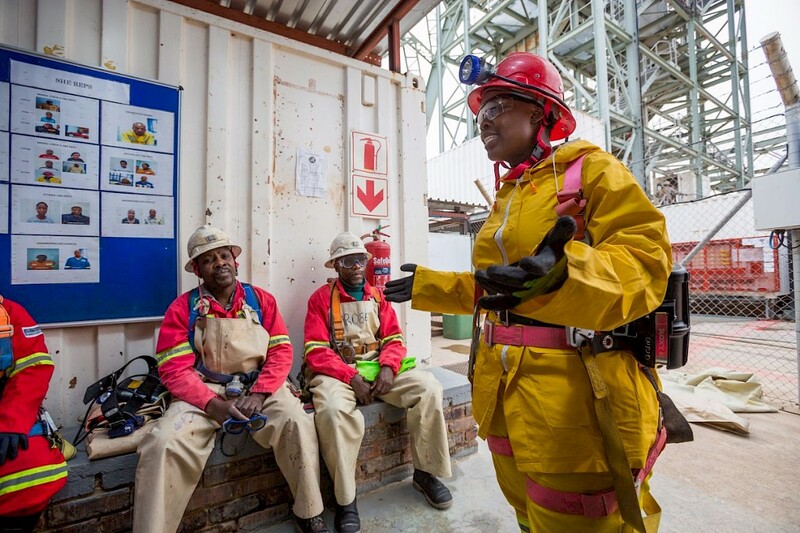 By the end of September 2017, the Platreef Project reached a total of 7,987,271 hours and 457,807 lost time injury-free (LTIF) hours worked in terms of South Africa's Mines Health and Safety Act and Occupational Health and Safety Act. The Platreef Project continues to strive toward its workplace objective of an environment that causes zero harm to employees, contractors, sub-contractors and consultants. Shaft 1, with an internal diameter of 7.25 metres, will provide access to the Flatreef Deposit and enable the initial underground development to take place during the development of Shaft 2. Ultimately, Shaft 1 will become the primary ventilation intake shaft during the project's four-million-tonne-per-annum production case. The average sinking rate is between 40 to 50 metres a month. The shaft includes a 300-millimetre-thick, concrete-lined shaft wall. The main sinking phase is expected to reach its projected, final depth of 980 metres below surface in 2019. Shaft stations to provide access to horizontal mine workings for personnel, materials, pump stations and services will be developed at depths of 450 metres, 750 metres, 850 metres and 950 metres. The permanent sinking phase, which started in July 2016, had reached a depth of 480 metres on September 30, 2017. The first off-shaft lateral development on the 450-metre-level, which will serve as an intermediate water pumping and shaft cable-termination station, was successfully completed in September. The next off-shaft lateral development will be on the 750-metre-level and will serve as the first mine working level. Shaft 2, to be located approximately 100 metres northeast of Shaft 1, will have an internal diameter of 10 metres, will be lined with concrete and sunk to a planned, final depth of more than 1,100 metres below surface. It will be equipped with two 40-tonne rock-hoisting skips with a capacity to hoist a total of six million tonnes of ore per year - the single largest hoisting capacity at any mine in Africa. The headgear for the permanent hoisting facility was designed by South Africa-based Murray & Roberts Cementation. The early-works for Shaft 2 include the excavation of a surface box cut to a depth of approximately 29 metres below surface and the construction of the concrete hitch (foundation) for the 103-metre-tall concrete headgear (headframe) that will house the shaft's permanent hoisting facilities and support the shaft collar. The box cut is expected to take approximately 12 months to complete. A further expansion to more than eight Mtpa would entail converting Shaft 1 from a ventilation shaft into a hoisting shaft. This would require additional ventilation exhaust raises, as well as a further increase of underground development, commissioning of a fourth, two-Mtpa processing module and associated surface infrastructure, as described in the Platreef preliminary economic assessment (PEA) as Phase 2 of the project. On July 19, 2017, Ivanhoe Mines announced the appointment of another two leading, mine-financing institutions — KfW IPEX-Bank, a German government-owned institution, and the Swedish Export Credit Corporation (SEK) — as Initial Mandated Lead Arrangers (IMLAs) to arrange debt financing for the ongoing development of the Platreef Mine. KfW IPEX-Bank and SEK joined the three initial IMLAs — Export Development Canada, Nedbank Limited (acting through its Corporate and Investment Banking division) and Societe Generale Corporate & Investment Banking — that were appointed earlier this year. The five IMLAs will make best efforts to arrange a total debt financing of up to $1 billion for the development of Platreef's first-phase, four-Mtpa mine. Preliminary expressions of interest now have been received for approximately $900 million of the targeted $1 billion project financing. Negotiation of a term sheet is ongoing. In addition, preliminary discussions have commenced with leading financial institutions around the financing of the contribution by the black economic empowerment partners to the development capital. Metallurgical test work has focused on maximizing recovery of platinum-group metals (PGM) and base metals, mainly nickel, while producing an acceptably high-grade concentrate suitable for further processing and/or sale to a third party. The three main geo-metallurgical units and composites tested produced smelter-grade final concentrates of approximately 85 g/t PGM+Au at acceptable PGM recoveries. Test work also has shown that the material is amenable to treatment by conventional flotation without the need for mainstream or concentrate ultrafine re-grinding. Extensive bench-scale test work comprising of open-circuit and locked-cycled flotation testing, comminution testing, mineralogical characterization, dewatering and rheological characterization was performed at Mintek in South Africa, an internationally accredited metallurgical testing facility and laboratory. Comminution and flotation test work has indicated that the optimum grind for beneficiation is 80% passing 75 micrometres. Platreef ore is classified as being ‘hard' to ‘very hard' and thus not suitable for semi-autogenous grinding; a multi-stage crushing and ball-milling circuit has been selected as the preferred size-reduction route. Improved flotation performance has been achieved using high-chrome grinding media as opposed to carbon-steel media. The inclusion of a split-cleaner flotation-circuit configuration, in which the fast-floating fraction is treated in a cleaner circuit separate from the medium- and slow-floating fractions, resulted in improved PGM, copper and nickel recoveries and concentrate grades. A two-phased development approach was used for the DFS flow-sheet design. The selected flow sheet comprises a common four-Mtpa, three-stage crushing circuit that feeds crushed material to two parallel milling-flotation modules, each with a nominal capacity of two Mtpa. Flotation is followed by a common concentrate thickening, concentrate filtration, tailings disposal and tailings-handling facility. The Olifants River Water Resource Development Project (ORWRDP) is designed to deliver water to the Eastern and Northern limbs of South Africa's Bushveld Complex. The project consists of the new De Hoop Dam, the raised wall of the Flag Boshielo Dam and related pipeline infrastructure that ultimately is expected to deliver water to Pruissen, southeast of the Northern Limb. The Pruissen Pipeline Project is expected to be developed to deliver water onward from Pruissen to the municipalities, communities and mining projects on the Northern Limb. Ivanhoe Mines is a member of the ORWRDP's Joint Water Forum. The Platreef Project's water requirement for the first phase of development is projected to peak at approximately 7.5 million litres per day, which is expected to be supplied by the water network. Ivanhoe also is investigating various alternative sources of bulk water, including an allocation of bulk grey-water from a local source. The Platreef Project's electrical power requirement for the phase one, four-Mtpa, underground mine, concentrator and associated infrastructure has been estimated at approximately 100 million volt-amperes. An agreement has been reached with Eskom, the South African public electricity utility, for the supply of phase-one power. Ivanhoe chose a self-build option for permanent power that will enable Ivanhoe to manage the construction of the distribution lines from Eskom's Burutho sub-station to the Platreef Mine. The self-build and electrical supply agreements are being formulated. The Kipushi Project achieved a total of 51,230 work hours free of lost-time injuries by September 30, 2017. One lost-time injury occurred in September 2017. 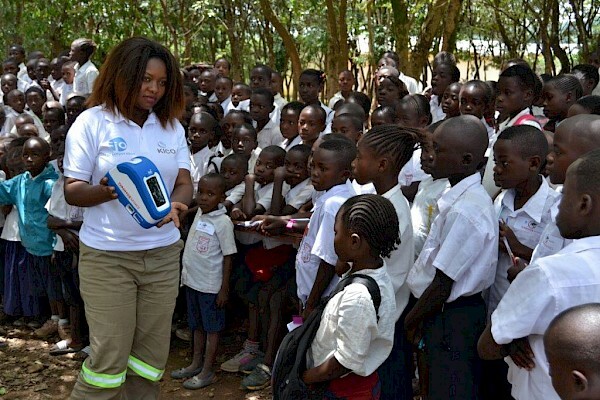 The Fionet Know for Sure initiative to improve malaria diagnostics and treatment expanded to 300 Deki Readers installed in 252 medical service providers in Haut-Katanga and Lualaba provinces in Southern DRC, which host Ivanhoe's Kipushi and Kamoa-Kakula projects. Deki Readers provide automated readings of rapid diagnostic tests to remove the human-error factor and avoid prescription of unnecessary medication. The data are uploaded to a cloud server for analysis by the Ministry of Health in planning malaria-control measures. There were more than 24,000 patient encounters in Q3 2017 where Deki Readers provided diagnostic testing; only approximately 14% of Kipushi Project employees who were symptomatic tested positive for malaria. A representative of the Know for Sure initiative, holding a Deki Reader used to conduct rapid diagnostic testing for malaria, explains to children how to get access to testing for themselves and their parents. At the request of the Kipushi municipal authority, and in conjunction with the Haut-Katanga Office of Roads and Drainage (Office des Voires et Drainage) and La Commission Nationale de Prévention Routière (CNPR), additional speed bumps and signs have been installed on paved roads in the municipal areas in an effort to reduce traffic accidents. Ivanhoe initiated a second phase of underground drilling at Kipushi in April 2017. The planned drilling program totalled 6,500 metres in 41 drill holes and included metallurgy, resource infill and expansion and exploration drilling. As of September 30, 2017, 36 holes and 7,812 metres had been completed. The program has been increased to approximately 9,500 metres as result of exploration success and now is scheduled to be completed in Q4 2017. Resource drilling initially focused on the Southern Zinc to confirm and expand the resource area and to upgrade it into an Indicated Mineral Resource. 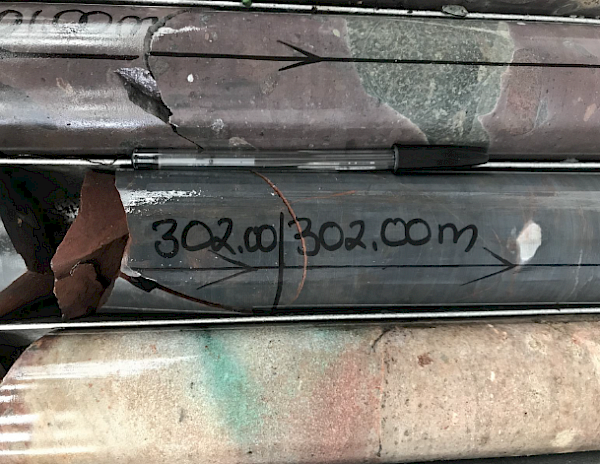 In Q3, drilling continued to extend the vertical limit of the Southern Zinc and targeted the area between the Southern Zinc and the Big Zinc, attempting to connect these two zones. Drilling also tested the eastern extent of the Série Récurrente. Drilling is continuing with two rigs, one with the Southern Zinc expansion and the other with the Série Récurrente exploration. Ivanhoe intends to update the Kipushi Mineral Resource estimate early in Q1 2018. The Kipushi Mine, which had been placed on care and maintenance in 1993, flooded in early 2011 due to a lack of pump maintenance over an extended period. At its peak, water reached 851 metres below the surface. Ivanhoe restored access to the mine's principal haulage level at 1,150 metres below surface in December 2013. Since then, crews have been upgrading underground infrastructure to permanently stabilize the water levels. 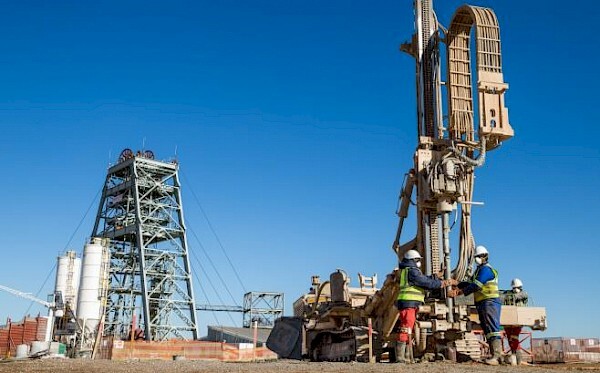 Since completion of the 2014/2015 drilling program, water levels have been lowered to the bottom of Shaft 5, which is planned to be the mine's main production shaft. The shaft is eight metres in diameter, 1,240 metres deep and approximately 1.5 kilometres from the planned main mining area. It provides the primary access to the lower levels of the mine, including the Big Zinc Deposit, through the 1,150-metre haulage level and underground ramp decline. Life-of-mine average planned zinc concentrate production of 530,000 dry tonnes per annum - with a concentrate grade of 53% zinc - is expected to rank Kipushi, once in production, among the world's major zinc mines. 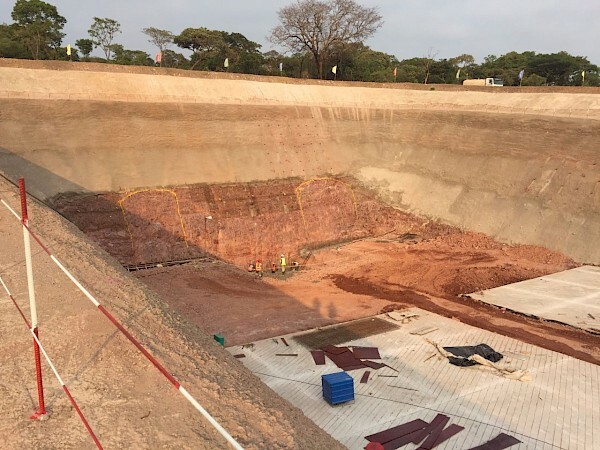 The Kamoa-Kakula Copper Project, a joint venture between Ivanhoe Mines and Zijin Mining, has been independently ranked as the largest copper discovery ever made on the African continent. Kamoa-Kakula also includes adjacent prospective exploration areas within the Central African Copperbelt in the DRC. It is approximately 25 kilometres west of the town of Kolwezi and 270 kilometres west of Lubumbashi. Ivanhoe sold a 49.5% share interest in Kamoa Holding Limited to Zijin Mining in December 2015 for an aggregate consideration of $412 million. At the time, Kamoa Holding held a 95% interest in the Kamoa Project. In addition, Ivanhoe sold a 1% share interest in Kamoa Holding to privately-owned Crystal River Global Limited for $8.32 million, which Crystal River will pay through a non-interest-bearing, 10-year promissory note. Since the conclusion of the Zijin transaction in December 2015, each shareholder of Kamoa Holding has been required to fund expenditures at the Kamoa-Kakula Project in an amount equivalent to its proportionate shareholding interest in the company. Ivanhoe issued an updated Mineral Resource estimate for the Kamoa-Kakula Project on May 17, 2017. The estimates were prepared by Ivanhoe Mines under the direction of Amec Foster Wheeler, of Reno, USA, in accordance with the 2014 CIM Definition Standards for Mineral Resources and Mineral Reserves. The Qualified Persons for the Kamoa-Kakula Mineral Resource estimate are Dr. Harry Parker, RM, SME, and Gordon Seibel, RM, SME, both of Amec Foster Wheeler. The May 2017 resource estimate included an updated Mineral Resource estimate for the Kakula Discovery, but did not include any drilling results from the new Kakula West discovery area. Ivanhoe expects that an updated Kamoa-Kakula resource estimate, including an initial resource estimate for the Kakula West Discovery and the saddle area between the existing Kakula Mineral Resource area and Kakula West, should be available around the end of this year. Kakula also has Inferred Mineral Resources totalling 59 million tonnes at a grade of 2.26% copper, containing 3.0 billion pounds of copper at a 1% copper cut-off. At a 2% copper cut-off, Inferred Resources total 27 million tonnes at a 3.19% copper grade, containing 1.9 billion pounds of copper. At a higher cut-off of 3% copper, Inferred Resources total 12 million tonnes at a grade of 4.45% copper, containing 1.1 billion pounds of copper. Kakula's Indicated and Inferred resources are included in the combined Kamoa-Kakula Project mineral resources. The new Kamoa-Kakula Project PEA is progressing well and is expected to be completed during Q4 2017. The new PEA is considering a mine capacity of six Mtpa at Kakula, based on the May 2017 Mineral Resource estimate, with a six-Mtpa mine at Kansoko with a centralized concentrator and smelter at Kakula, for a projected, peak mine production of approximately 12 Mtpa from the presently delineated Kamoa and Kakula deposits. In addition to the new PEA study, preliminary work is underway on a six-Mtpa pre-feasibility study (PFS) at Kakula that will be based on an updated resource model. The study will be considered as the base case for the first phase of development at Kamoa-Kakula. In light of the successful step-out drilling at Kakula West, the Kamoa-Kakula development plans will be reassessed and amended as the project moves forward. Health and safety remain key priorities for all people working at the Kamoa-Kakula Project, which had achieved 7,729,995 lost-time, injury-free hours worked by September 30, 2017. By the end of September 2017, 107 cases of malaria were diagnosed at the Kamoa clinic during the first nine months of 2017, a significant reduction from the 147 cases for the same period in 2016. This progress is due, in part, to the project's malaria prevention plan. Exploration activity increased significantly during Q3 2017, with additional drilling for geotechnical, hydrogeology, environmental and metallurgical studies, as well as an expansion in the resource drilling to support the updated resource estimate. A total of 33,500 metres were completed during Q3 2017. With 14 rigs in the field, more than 89,000 metres now have been drilled in 2017. 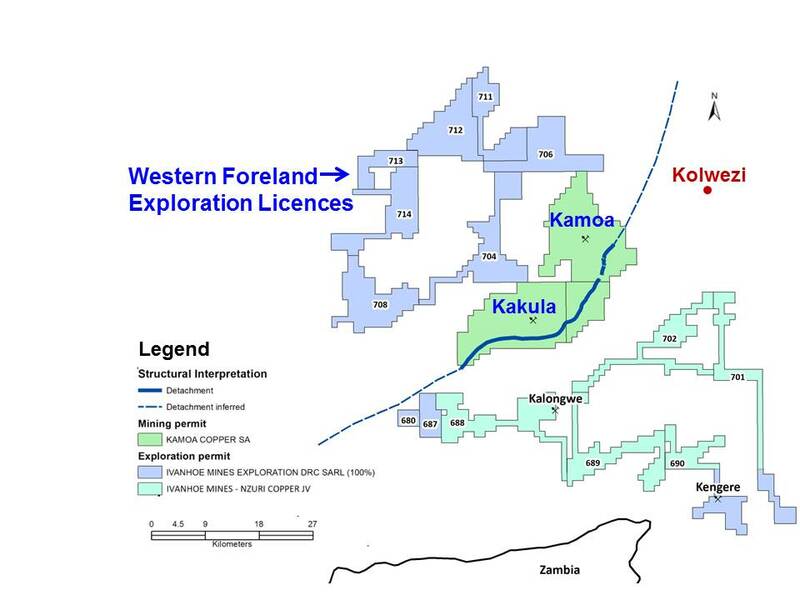 Resource expansion drilling was focused in Kakula West and in the saddle between the Kakula West discovery and Kakula. In addition, infill drilling was completed in the main Kakula area to tighten up the drill spacing while exploration drilling was completed in Kamoa Ouest. The next phase of flowsheet development has been initiated following the positive preliminary test-work results received during Q4 2016 showing 87.8% recovery at an extremely high concentrate grade of 56% copper. Earlier metallurgical test work indicated that the Kamoa and Kakula concentrates contain extremely low arsenic levels by world standards - approximately 0.02%. Given this critical competitive marketing advantage, Kamoa-Kakula concentrates are expected to attract a significant premium from copper-concentrate traders for use in blending with concentrates from other mines. The concentrates will help to enable the other concentrates to meet the limit of 0.5% arsenic imposed by Chinese smelters to meet China's environmental restrictions. The contractor, CREC 9, completed the box-cut excavation, support and civil works at the end of October 2017. The Kakula decline development contract has been awarded to JMMC, a DRC subsidiary of JCHX. The first blast for the twin declines at Kakula is scheduled for mid-November 2017. Depending on ground conditions, the 3,600-metre decline development contract is scheduled for completion by the end of 2018. The Kakula box cut was completed on October 26, 2017. The first blast for the access declines is scheduled for mid-November 2017. 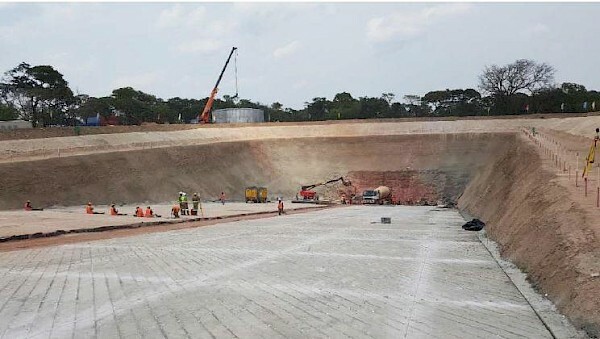 Underground development at Kamoa's Kansoko Mine, consisting of service and conveyor declines, was completed by Byrnecut Underground Congo SARL in September 2017. The high-grade Kansoko Sud copper mineralization was reached and approximately 13,500 tonnes of development ore was stockpiled at surface. Various development options for Kansoko are being assessed in conjunction with the ongoing mine development activities at Kakula. Repair work at the Mwadingusha Unit 1 was completed in August 2016. The Mwadingusha G1 unit, supplying 11 megawatts, was synchronized in September 2016 to the national, interconnected grid operated by SNEL, the DRC's state-owned power company. The contract to purchase four turbines for the Mwadingusha power plant upgrades was awarded and the contract signed between SNEL and the consortium Andritz Hydro & Cegelec Corporation. The Mwadingusha G1 and associated infrastructure upgrading is proceeding according to plan. The Kansoko Mine site has been connected to the national hydroelectric grid since late 2016. The number of job opportunities from the Kamoa-Kakula Project and contractors has risen during the third quarter of 2017 due to the increase in activity around the camp and mine area. Preference is given to local job-seekers and numerous positions have been filled. a fish-farming program, consisting of two fully stocked dams, with a third dam under construction. A crop and household relocation survey has been conducted for the entire 15km2 Kakula mining area. Compensation to farmers has been paid and alternative land has been allocated and is in the process of being ploughed. Fifty relocation houses will be constructed near the village of Muvundaquali for households to be relocated from the mine area. The first demonstration house has been built and is being inspected. 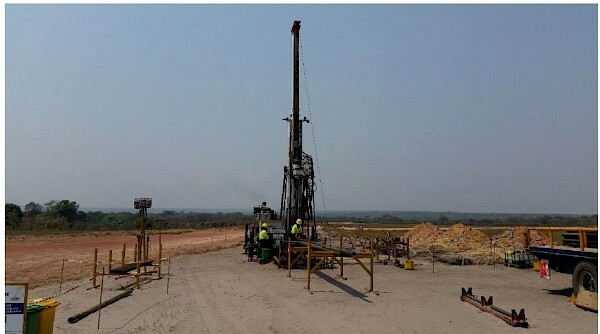 Ivanhoe's DRC exploration group is targeting Kamoa-Kakula-style copper mineralization through a regional diamond drilling program on its 100%-owned Western Foreland exploration licences located to the west of the Kamoa-Kakula Mining Licence. Based on the geological similarities between the Western Foreland and the Kamoa-Kakula areas and the accumulation of in-depth, proprietary geological insights into the features controlling the high-grade copper mineralization gained by Ivanhoe's geological team during almost two decades of exploring in the region Ivanhoe is confident of additional exploration success and is planning to expand its Western Forelands exploration program in 2018. Drilling is ongoing with two contractor rigs focused on one of the company's more promising targets on the Western Foreland exploration licences. During Q3 2017, Ivanhoe's exploration team engaged in interpreting the regional geology and Nguba Basin architecture of the Western Foreland Area. The company is planning gravity and seismic surveys in coming months to assist the geological interpretation process. Construction is underway to provide uninterrupted wet-season access to the exploration areas via an all-weather road that will connect the Kamoa-Kakula road network to the Western Foreland exploration licences. Work on a bridge across the Lufupa River is being completed to allow access from west of the river to previously inaccessible exploration drill targets. Construction of the first phase of Ivanhoe's exploration camp is nearly complete. Offices, core processing and laboratory facilities have been installed and are operational. Core processing and sampling work has begun in earnest and a water borehole has been installed. Ivanhoe has decided to continue exploration through the rainy season and preparations are being made at both drill camps to mitigate the season's logistical challenges. The company's total comprehensive loss for Q3 2017 of $21.2 million was $20.6 million higher than for the same period in 2016 ($0.6 million). The increase largely was due to exchange gains on translation of foreign operations recognized in Q3 2016 of $10.8 million resulting from the strengthening of the South African Rand by 10% from June 30, 2016, to September 30, 2016, compared to an exchange loss on translation of foreign operations recognized in Q3 2017 of $6.2 million. Exploration and project expenditures for the three months ending September 30, 2017, amounted to $11.6 million and were $3.8 million more than for the same period in 2016 ($7.8 million). With the focus at the Platreef Project on development and the Kamoa Project being accounted for as a joint venture, $10.8 million of the total $11.6 million exploration and project expenditure related to the Kipushi Project. Expenditure at the Kipushi Project increased by $3.2 million compared to the same period in 2016. The company's share of losses from the Kamoa Holding joint venture increased from $6.3 million in Q3 2016 to $6.8 million in Q3 2017. The costs associated with mine development are capitalized as development costs in Kamoa Holding, while the exploration expenditure is expensed. Capitalization of costs at Kakula commenced during Q2 2017, coinciding with the start of the Kakula box cut. Exploration drilling at Kakula West and in the "saddle" area between Kakula West and Kakula still are expensed. The interest expense in the Kamoa Holding joint venture relates to shareholder loans where each shareholder is required to fund Kamoa Holding in an amount equivalent to its proportionate shareholding interest. The company is advancing Crystal River's portion on its behalf in return for an increase in the promissory note due to Ivanhoe. The company's total comprehensive loss of $37.5 million for the nine months ended September 30, 2017, was $19.8 million higher than for the same period in 2016 ($17.7 million). The increase was largely due to an exchange gain on translation of foreign operations of $10.4 million recognized in the first nine months of 2016 compared to a gain of $1.4 million for the same period in 2017. Exploration and project expenditures for the nine months ending September 30, 2017, amounted to $29.5 million and were $6.6 million higher than for the same period in 2016 ($22.9 million). Of the $29.5 million exploration and project expenditure, $28.4 million related to the Kipushi Project. Expenditure at the Kipushi Project increased by $6.1 million compared to the same period in 2016. The company's share of losses from the Kamoa Holding joint venture increased to $17.3 million for the nine months ended September 30, 2017, from $15.8 million for the same period in 2016. The company's total assets decreased by $27.8 million, from $1,002.2 million as at December 31, 2016, to $974.4 million as at September 30, 2017. This resulted from the company utilizing its cash resources in its operations. The company's total liabilities increased by $1.5 million to $47.5 million as at September 30, 2017, from $46.0 million as at December 31, 2016. The company received the fourth installment of $41.2 million on February 8, 2017, and the fifth and final installment on May 23, 2017, which represented the remaining purchase-price receivable due to the company as at December 31, 2016, as a result of the sale of 49.5% of Kamoa Holding. The company's investment in the Kamoa Holding joint venture increased by $65.0 million from $473.6 as at December 31, 2016, to $538.6 million as at September 30, 2017, with the current shareholders funding the operations equivalent to their proportionate shareholding interest. The company's portion of the Kamoa Holding joint venture cash calls amounted to $62.9 million during the nine months ended September 30, 2017, while the company's share of comprehensive loss from joint venture amounted to $17.3 million. Property, plant and equipment increased by $37.2 million, with a total of $39.7 million being spent on project development and to acquire other property, plant and equipment, $34.1 million of which pertained to development costs of the Platreef Project. The company utilized $30.6 million of its cash resources in its operations and earned interest income of $2.7 million during the nine months ending September 30, 2017. The company had $228.1 million in cash and cash equivalents as at September 30, 2017. At this date, the company had consolidated working capital of approximately $233.7 million, compared to $364.8 million at December 31, 2016. The Platreef Project's restricted cash has been fully utilized and the project's current expenditure is being funded by Ivanhoe through an intercompany loan. The Company believes it has sufficient resources to cover its short-term cash requirements. However, the Company's access to financing always is uncertain and there can be no assurance that additional funding will be available to the company in the near future. On December 8, 2015, Zijin, through a subsidiary company, acquired a 49.5% interest in Kamoa Holding for a total of $412 million in a series of payments. Ivanhoe received an initial $206 million from Zijin on December 8, 2015, and a further $41.2 million on each of March 23, 2016, July 8, 2016, October 25, 2016, February 8, 2017, and May 23, 2017. Since December 8, 2015, each shareholder in Kamoa Holding has been required to fund Kamoa Holding in an amount equivalent to its proportionate shareholding interest. The company is advancing Crystal River's portion on its behalf in return for an increase in the promissory note due to Ivanhoe. The company's main objectives for the remainder of 2017 at the Platreef Project are the continuation of Shaft 1 construction and early-works construction of Shaft 2. At Kipushi, the principal objective is the completion of the PFS and continued upgrading of mining infrastructure. At the Kamoa-Kakula Project, priorities are the continuation of drilling and the decline construction at Kakula. The company expects to spend $15 million on further development at the Platreef Project; $19 million at the Kipushi Project; $3 million on regional exploration in the DRC; and $5 million on corporate overheads for the remainder of 2017 - as well as its proportionate funding of the Kamoa-Kakula Project, expected to be $16 million for the remainder of 2017. The company is required to fund its Kamoa Holding joint venture in an amount equivalent to its proportionate shareholding interest. The Kamoa-Kakula Project Kakula 2017 Resource Update Technical Report dated June 14, 2017, prepared by OreWin Pty Ltd., Amec Foster Wheeler E&C Services Inc., MDM (Technical) Africa Pty Ltd; and SRK Consulting Pty Ltd., covering the company's Kamoa-Kakula Project. The Platreef 2017 Feasibility Study Technical Report dated September 4, 2017, prepared by DRA Global, OreWin Pty. Ltd., Amec Foster Wheeler, Stantec Consulting, Murray & Roberts Cementation, SRK Consulting, Golder Associates and Digby Wells Environmental, covering the company's Platreef Project. The Kipushi Zn-Cu Project, Kipushi 2016 Preliminary Economic Assessment Technical Report dated May 12, 2016, prepared by MSA Group (Pty) Ltd and OreWin Pty. Ltd., covering the company's Kipushi Project. These technical reports include relevant information regarding the effective dates and the assumptions, parameters and methods of the mineral resource estimates for the Platreef Project, the Kipushi Project and the Kamoa-Kakula Project cited in this news release, as well as information regarding data verification, exploration procedures and other matters relevant to the scientific and technical disclosure contained in this news release concerning the Platreef Project, Kipushi Project and Kamoa-Kakula Project. This news release should be read in conjunction with Ivanhoe Mines' Q3 2017 Financial Statements and Management's Discussion and Analysis report available at www.ivanhoemines.com and at www.sedar.com. Additional information regarding the company, including the company's Annual Information Form, is available at www.sedar.com. Such statements include without limitation, the timing and results of: (i) statements regarding Shaft 1 providing initial access for early underground development at the Flatreef Deposit; (ii) statements regarding the station development of Shaft 1 at the 750-, 850- and 950-metre levels; (iii) statements regarding the sinking of Shaft 1, including that the average sinking rate is between 40 and 50 metres a month; (iv) statements regarding Shaft 1 reaching the planned, final depth at 980 metres below surface in 2019; (v) statements regarding the timing of the commencement of Shaft 2 development, including that construction of the box cut will take approximately 12 months to complete and that Shaft 2 will be sunk to a final depth of more than 1,100 metres; (vi) statements regarding the operational and technical capacity of Shaft 1; (vii) statements regarding the internal diameter and hoisting capacity of Shaft 2; (viii) statements regarding the company's plans to develop the Platreef Mine in three phases: an initial annual rate of four million tonnes per annum (Mtpa) to establish an operating platform to support future expansions; followed by a doubling of production to eight Mtpa; and then a third expansion phase to a steady-state 12 Mtpa; (ix) statements regarding the planned underground mining methods of the Platreef Project including long-hole stoping and drift-and-fill mining; (x) statements regarding peak water use of 7.5 million litres per day at the Platreef Project and development of the Pruissen Pipeline Project; (xi) statements regarding the Platreef Project's estimated electricity requirement of 100 million volt-amperes; (xii) statements regarding the timing and completion of an updated preliminary economic assessment at the Kamoa-Kakula Project in Q4 2017 and a preliminary feasibility study for a six Mtpa mine at Kakula; (xiii) statements regarding the timing, size and objectives of drilling and other exploration programs for 2017 and future periods, including drilling of 9,500 metres at the Kipushi Project in 2017; (xiv) statements regarding exploration through the rainy season on the Western Foreland exploration licences; (xv) statements regarding the first blast for the twin declines at Kakula scheduled for mid-November 2017 and completion of the contract by the end of 2018; (xvi) statements regarding the timing of an initial resource estimate at Kakula West, (xvii) statements regarding the timing of an update to the Kipushi Mineral Resource estimate early in Q1 2018, (xviii) statements regarding the timing and completion of the preliminary feasibility study at the Kipushi Project, and (xix) statements regarding expected expenditure for the remainder of 2017 of $15 million on further development at the Platreef Project; $19 million at the Kipushi Project; $3 million on regional exploration in the DRC; and $5 million on corporate overheads - as well as its proportionate funding of the Kamoa-Kakula Project, expected to be $16 million for the remainder of 2017. This release also contains references to estimates of Mineral Resources and Mineral Reserves. The estimation of Mineral Resources is inherently uncertain and involves subjective judgments about many relevant factors. Estimates of Mineral Reserves provide more certainty but still involve similar subjective judgements. Mineral Resources that are not Mineral Reserves do not have demonstrated economic viability. The accuracy of any such estimates is a function of the quantity and quality of available data, and of the assumptions made and judgments used in engineering and geological interpretation (including estimated future production from the company's projects, the anticipated tonnages and grades that will be mined and the estimated level of recovery that will be realized), which may prove to be unreliable and depend, to a certain extent, upon the analysis of drilling results and statistical inferences that ultimately may prove to be inaccurate. Mineral Resource or Mineral Reserve estimates may have to be re-estimated based on: (i) fluctuations in copper, nickel, zinc, platinum group elements (PGE), gold or other mineral prices; (ii) results of drilling; (iii) metallurgical testing and other studies; (iv) proposed mining operations, including dilution; (v) the evaluation of mine plans subsequent to the date of any estimates and/or changes in mine plans; (vi) the possible failure to receive required permits, approvals and licences; and (vii) changes in law or regulation. Forward-looking statements and information involve significant risks and uncertainties, should not be read as guarantees of future performance or results and will not necessarily be accurate indicators of whether or not such results will be achieved. A number of factors could cause actual results to differ materially from the results discussed in the forward-looking statements or information, including, but not limited to, the factors discussed here and under "Risk Factors", as well as unexpected changes in laws, rules or regulations, or their enforcement by applicable authorities; the failure of parties to contracts with the company to perform as agreed; social or labour unrest; changes in commodity prices; and the failure of exploration programs or studies to deliver anticipated results or results that would justify and support continued exploration, studies, development or operations. 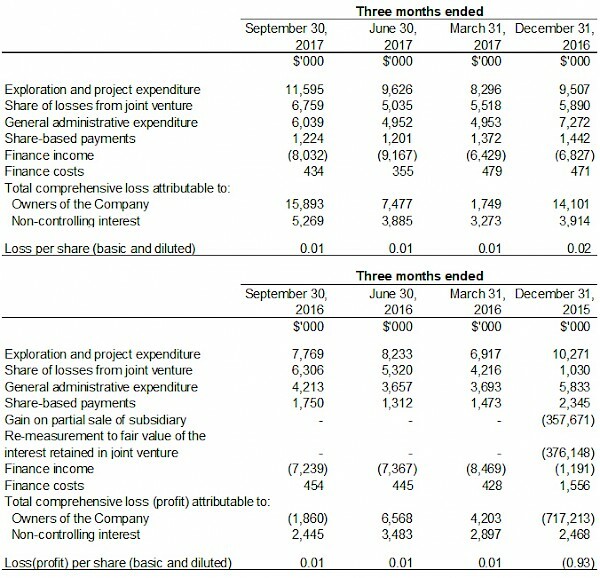 The company's actual results could differ materially from those anticipated in these forward-looking statements as a result of the factors set forth in the "Risk Factors" section of the company's Q3 2017 MD&A and its Annual Information Form.